If you could come back as an animal in your next life, which animal would you choose? That’s the question newly-divorced David (Colin Farrell) is asked when he checks into a resort hotel for singles in the film, THE LOBSTER. Set in a dystopian near future when being single is not allowed, David has 45 days to find a new partner at the hotel and fall in love with her (bisexuality is not allowed either, he is told) otherwise he gets turned into the animal of his choice. Though his brother got changed into a dog a few years earlier (many people choose dog, which is why there are so many of them, David is also told), David opts to become a lobster if/when the time comes, presumably because the crustaceans are serially monogamous. Each evening, the hotel’s guests dine together in a large ballroom in a scene that’s reminiscent of a tacky singles cruise from the early 1960s. While David’s new friends, known only from the credits as Lisping Man (John C. O’Reilly, CHICAGO) and Limping Man (Ben Whishaw, SPECTRE; PADDINGTON), waste no time getting to meet the female guests there, David is a sad sack who can’t seem to find his groove. Fortunately for him and for all the guests at the resort, they have an option. Each day they must all head into the neighbouring forest to hunt the loners – decidedly single people who are forced out of society – who live there. For every loner they shoot with a tranquilizer gun, their stay at the hotel gets extended by one day. One guest, known as Heartless Woman, is such a good shot, she’s been a guest at the hotel for more than a few months. David quickly realises that neither forced mating nor shooting people are for him and he manages to escape into the forest on one of their hunting expeditions. There, he meets the no-nonsense Loner Leader (Léa Seydoux, SPECTRE) who welcomes him into their clan, and the meek Short Sighted Woman (Rachel Weisz, THE CONSTANT GARDENER) who, like him, couldn’t find a mate at the resort. David and SSW, both being myopic, form an immediate bond and begin to fall in love. Unfortunately, they’re now living in a society where mating is not allowed and they need to find a fourth option quickly. 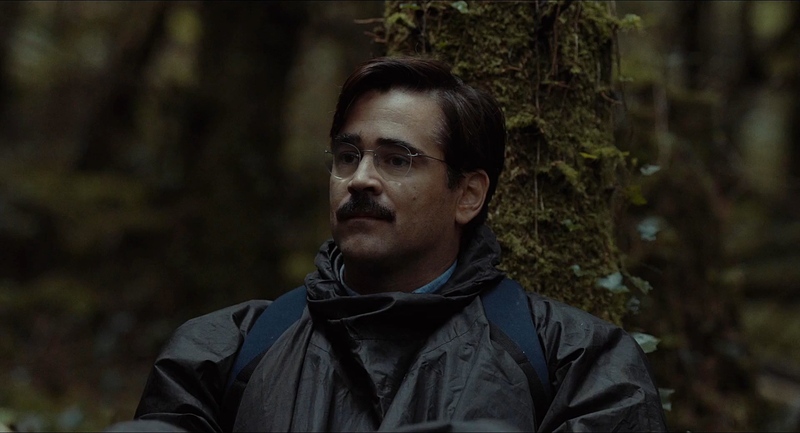 THE LOBSTER is Greek director Yorgos Lanthimos’ first English-language feature. His 2009 film, DOGTOOTH, which was a black satire of family relations, was nominated for the Best Foreign Language Film Oscar® in 2011. This time around, Lanthimos is skewering dating and mating, and the absurdity of the rituals works for most of the film. Unfortunately, by the third act, the actors’ deadpan delivery becomes tedious and the film loses its steam. The performances from the actors are all good though. Farrell, much like Christian Bale, dives right into the characters he plays. As David, Farrell clearly put on more than a few pounds for this role and he looks every inch the part of a schlubby loser. Olivia Colman (Sophie from TV’s PEEP SHOW) is also a delight to watch as the all-business hotel manageress. Since its premiere a year ago at the Cannes Film Festival, the film has racked up a number of nominations and awards, including the Jury Prize at Cannes. Critics have taken to the film more than audiences have though. Like the animal, THE LOBSTER is an acquired taste.